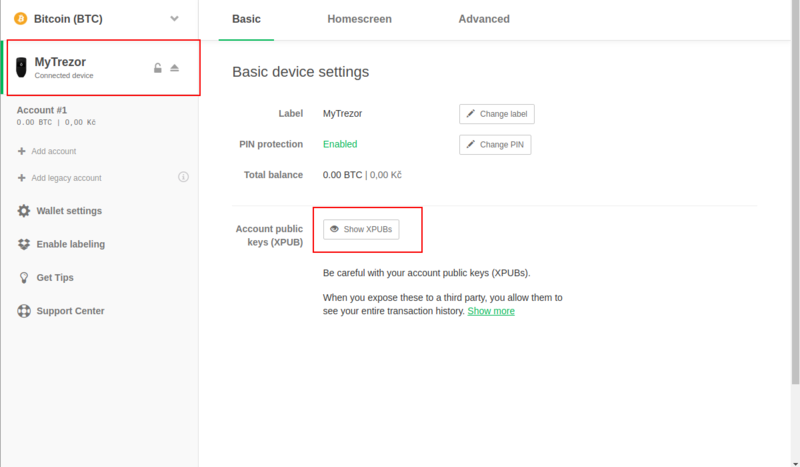 Start by connecting your Trezor device and visiting wallet.trezor.io. Click on the name of your device. See here for more details on Trezor xPub.